Torsion springs are produced to the customer’s specific requirements. They are individually designed for all load transmissions, whether for dynamic or static applications. Our range of coil springs includes compression, tension and torsion springs to meet the most complex demands. We manufacture open or closed wound torsion springs in wire diameters from 0.1mm – 5mm (0.0004″ – 0.197″) with specified spring ends to meet all applications and assembly situations. Torsion springs can be produced with multiple bends and double torsion. All processes are subject to quality control at every stage of production. 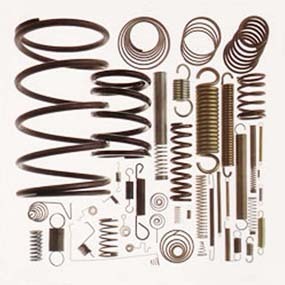 Coil springs are used in countless applications, made from alloyed or non-alloyed spring steels in wire diameters ranging from 0.1mm to 20mm (0.004″ – 0.787″). Early discussions with our highly skilled technicians may assist you during the development phase. This could result in reduced material and manufacturing costs. Our expertise will help ensure the performance and quality of the final component.